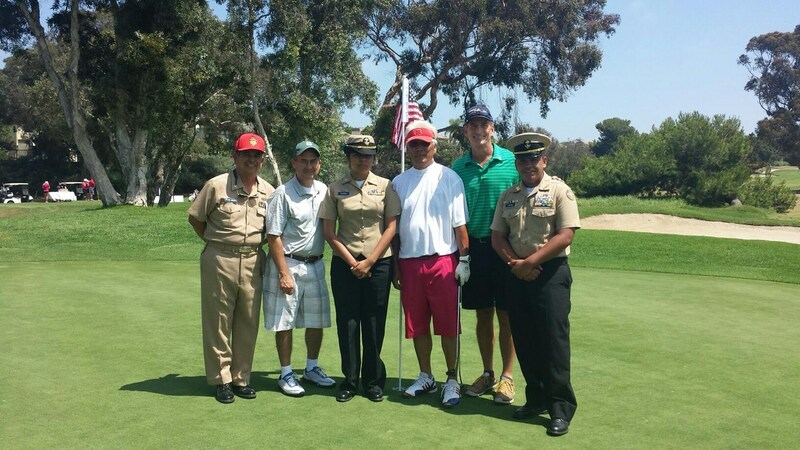 On August 24th, 2015 Hawthorne NJROTC cadets supported the "Tee it up for the troops" event at the Suncliff Country Club Golf Course as part of a fundraising activity for the Wounded Warrior project. The event was covered by ABC 7 news anchor, Phillip Palmer. Pictured are two cadets, Valerie Banda and Jose Ibarra with the ABC news team and CDR Urquidez.